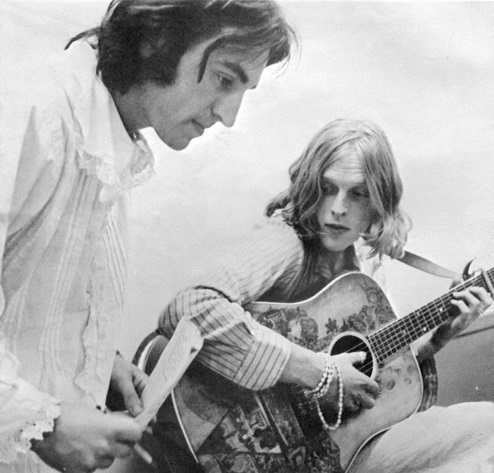 The sad news reaches us that Incredible String Band co-founder Clive Palmer passed away at age 71 on November 23, 2014. Clive Palmer, who has died aged 71, was a founding member of the mid-60s avant-garde folk group the Incredible String Band, and later brought his songwriting and instrumental talents to Clive’s Original Band. He was an accomplished banjo player, initially specializing in the English finger-picking “classic” style that emerged in the late 19th century, but his 1967 virtuoso recording, Banjoland, considered too esoteric at the time, had to wait until 2005 before it was released.